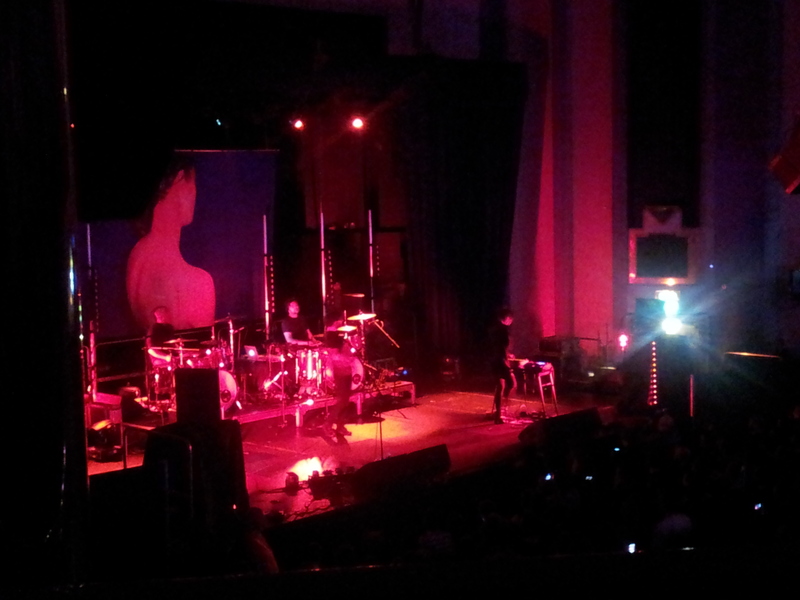 With its Art Deco interior and a booth-fitted circle overlooking the crammed stalls, The Troxy marks an auspicious final venue for Poliça’s international tour in support of Shulamith. Tonight the former cinema (and bingo hall during the 80s) is sunken in violet light and an arsenal of synths, samplers and two drum kits sits on stage below the bloody backdrop of Shulamith’s album cover. An inconspicuous mirrorball hangs from the lighting rig as more people come in from the cool and damp of the February night. Just after eight all conversation is drowned out by cavernous feedback verging on the deafening bottom end of human hearing, signalling that support act Marijuana Deathsquads have taken to the stage. This rumbling continues until all attention is fixed on the figures on stage centred around a mission control desk of synths and samplers, before plummeting into a furore of crashing primeval riffs. Part punk snottiness, part drum and bass cacophony; the Minneapolis noisemakers make for a confrontational opening act, riding a continuous wave of twisted samples backed by the dual drum assault of Ben Ivascu and Drew Christopherson (also of Poliça). Tonight offers a rare live appearance from Ryan Olson, whose dizzying list of brain children (Poliça, Marijuana Deathsquads, Gayng et al) has made him a svengali-like figure of the Minneapolis music scene. Strait-laced and white shirted, he hovers hungrily over a sampler like a velociraptor, barking orders over headsets to the other members while vocalist Isaac Gale wanders the stage wailing in varying degrees of vocal distortion. 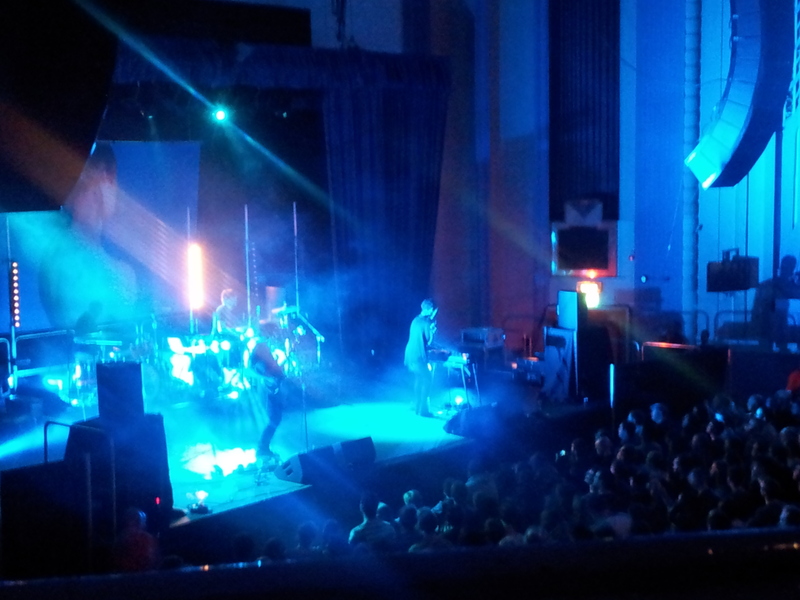 As the members become lost in a miasma of violet/orange dry-ice focus is placed entirely on the noise, punctuated on two instances by the Troxy’s fire alarms going off (it isn’t clear if this is cause for alarm or just part of the orchestrated chaos). Marijuana Deathsquads provide a brutal counterpart to Poliça’s glacial melodies, emphasised when the skinny, high-heeled and hoodied form of Poliça vocalist Channy Leaneagh enters the stage to lend vocal duties (digitally manipulated by Olson) for the last few numbers. Things get more melodic from there on out, but only just. The stage is bathed in crimson light when Poliça take the stage and power into the dampened club beats of ‘Slipping Lines’. With a setlist honed and streamlined from four weeks on the road, Poliça hit every mark. While the focus is definitely on the new material (eleven of the seventeen songs performed are from their recent album), the dreamier crowd favourites on Give You The Ghost sit comfortably alongside the more confrontational songs of Shulamith. ‘Very Cruel’s sinister synth loop and fathom deep breaks of silence feeds seamlessly into GYTG anthem ‘Amongster’, which sees Leaneagh losing herself in the building groove laid down by Ivascu and Christoperson amongst wisps of red smoke. Meanwhile on ‘Smug’, which features Olson back on vocal manipulation duty, flashing blue lights and siren-like synths give the atmosphere of a slow night drive, powered by a cavernous 4/4 beat. As a live entity the band display a tight chemistry, excelling in creating moments of tension and release and weaving the same magic as they do on record with an intense stage presence. Throughout the show bassist Chris Bierden exhibits ox-like calm dishing out his fluid bass lines while Ivascu and Christopherson seem to operate as a symbiotic percussive unit rather than separate musicians. Their parts either interweave each other or lock in sync perfectly, as is the case in the cascading drum climaxes on ‘Lay Your Cards Out’ and ‘Amongster’ which build into crashing supernovas in a live environment. The deep, grounding force of Bierden’s bass counterpoints Leaneagh’s cooing vocals and fluttering synth loops on ‘Warrior Lord’, before segueing into the hazy beat of ‘Vegas’. Leaneagh’s lost, childlike vocal delivery on the former take on an accusatory tone on the latter’s repeated assertion “You were mean to me” and the whispered demand “Don’t forget”. Despite her sleight frame Leaneagh cuts a powerful figure, commanding the stage with her voice and backed by a startling barrage of lights. She goads the crowd on ‘Chain My Name’ and stalks the stage on ‘Tiff’, making up for Justin Vernon’s absence with her arresting delivery among medicated beats and Bierden’s purring harmonies. Bubblegum pop song ‘I Need $’ and the funky ‘Dark Star’, which see Leaneagh kick off her boots to groove to Bierden’s moody bass lines, make an appearance before the main set closes with haunting duets on the ponderous, down tempo ‘So Leave’. On their return to the stage, Leaneagh explains that this is her eleventh time in London. “This a good place” she says grinning, although Ben Ivascu probably conveys the sentiment better with a simple “Cheers, m’dears”. Cue a paranoiac take on ‘Matty’ with an extended instrumental break that wouldn’t go amiss on the soundtrack of Aliens, featuring chittering hi-hat and unnerving synth loops that simmer away before crashing back to earth with drums and loping bass for the final verse. Possibly in anticipation of upcoming Valentine’s Day, the night closes with a spaced-out cover of Lesley Gore’s ballad ‘You Don’t Own Me’. The band are in playful spirit, yearning for the stars as Leaneagh in particularly dramatic flair retreats to her knees after giving it her all. If Elvis really was abducted by aliens, this is what he’d be performing now. On 13th November it was a cold and quiet Wednesday night in Hoxton Square, with no indication of the frenetic dance party that was about to kick off in Hoxton Square Bar. 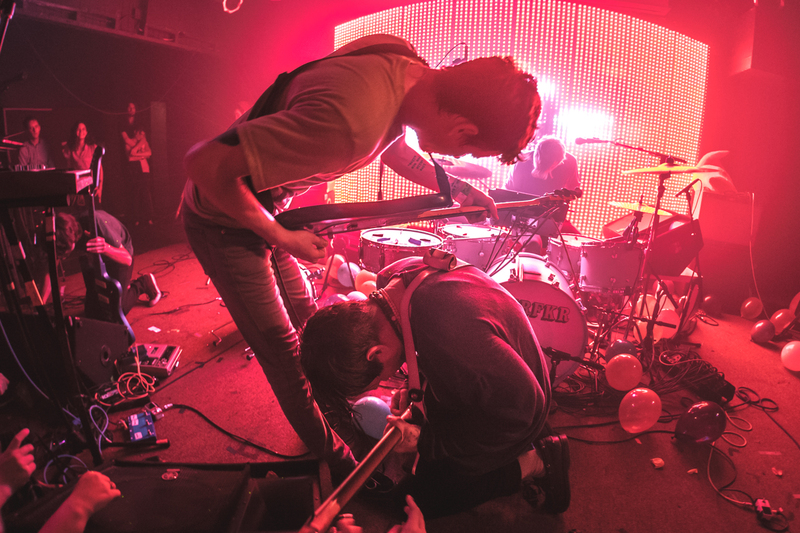 In fact, even inside the sold-out three-hundred capacity venue there was little indication as to what was in store until STRFKR kicked off their set. The Portland indie-dance four-piece are not an imposing appearing bunch and bandleader Josh Hodges did some onstage tech before the set largely unnoticed by a chatting crowd. However, once the band started they proved to the crowd that they know how to throw a party. Setting the agenda from the off, STRFKR launched straight into the racing Miracle Mile track ‘Malmö’, which got the crowd moving with an infectious mix of energetic bass, catchy whistling and juddering synths. Backed by fluctuating and colour shifting lights that reflected off the mirrorball in the middle of the packed venue, the lads were in their element and immediately got the good vibes going. From there they moved into spacey, atmospheric tunes from second album ‘Reptilians’ before diving headfirst into the Pixies-esque garage pop of ‘Beach Monster’. The band kept new and old fans alike pleased with a seamless mix of new tunes from their recent album, Miracle Mile, and old favourites from earlier albums. The shoegazey singalong ‘Say To You’ segued perfectly into the crashing drum fill and skewed countermelodies that open early fan favourite ‘Rawnald Gregory Erickson II’, which elicited a cheer from the audience. Fortunately, the samples of enlightening monologues from British philosopher Alan Watts, which pepper many early recordings, make a successful transition to the stage and at one point bassist Shawn Glassford engaged in a funny conversation with these samples. After the jubilant synths and warbly guitar solo of ‘Atlantis’ they throw the crowd a curveball by unleashing their high energy cover of Cyndi Lauper’s ‘Girls Just Want To Have Fun’. Usually a dancefloor killer outside of hen nights, the jaunty bass line and driving guitar lick really pumped the crowd up and got even the most reserved gig-goer moving their feet. 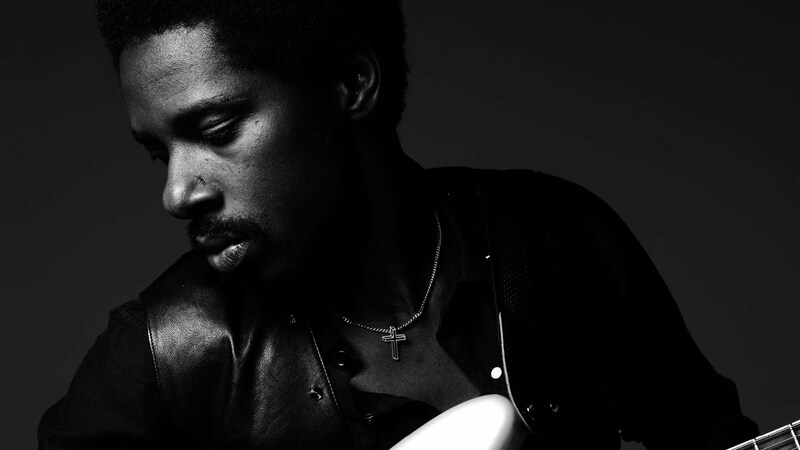 Towards the end of the set the band crack out their own feel-good disco tune, ‘While I’m Alive’, which saw audience members break out glow sticks and guitarist Patrick Morris pull some dance moves during the instrument-swapping percussion breakdown. The band exchange grins and exude the air of musicians who have their parts down and who have mastered a good pop melody. They channel Depeche Mode on the moody and atmospheric ‘Leave It All Behind’, with synths so heavy the walls shake, before thanking the audience for joining them on their first headlining date in London and then round off the night by getting the audience jumping on ‘Bury Us Alive’. After applause and coaxing from the audience, STRFKR return to the stage and send the crowd off with an encore of the dreamy ‘Isabella of Castile’ and pulsing dancefloor filler ‘Boy Toy’. The first time I ever heard Frightened Rabbit, and I mean the first time, was at a gig they played last year at The Tunnels in Aberdeen. It was a no pre-sale, queue-on-the-night affair and I went along simply because a load of my friends were going. The night was freezing and the queue was out the door, round the corner, up the hill, but we were lucky enough to get into the 300 capacity venue. The queue should have tipped me off, but that night I discovered a special band whose back catalogue has made up a considerable proportion of my listening last year. Incidentally, The Cheeky Girls were performing elsewhere in Aberdeen that night. I’m pretty sure I chose the right gig, but then again, I guess I’ll never know the joy of seeing ‘Cheeky Holiday’ live now. Now with major label support and touring in support of Pedestrian Verse, which entered the UK Album Chart Top 10 in its first week, it makes sense that Frightened Rabbit step up to the Music Hall. However, the question still remains in my mind when queueing (on a much more clement night, mind) whether the FRabbits would be able to create the same atmosphere of intimacy and camaraderie in a venue over four times that of the venue in which I’d first been wowed by them. First up are Three Blind Wolves, delivering their heavy brand of folk with gusto. The Glaswegian band have progressed from a small EP on Communion Records to having a fine repertoire of accomplished and fleshed out songs. The visceral chemistry between the band is accentuated by the beautiful harmonies the band produce, reminiscent of Crosby, Stills & Nash or, as my friend pointed out, a barbershop quartet. This is especially noticeable on slow-burner ‘Emily Rose’, which escalates into a rollicking barnstormer. Wintersleep up the ante once Three Blind Wolves have exited the stage. Hailing from Halifax, NS, these lads may not have a large following in the UK, but that’s sure to change in the near future. Dealing in skewed riffs and idiosyncratic grooves, their set fully kicks the crowd into gear. ‘Resuscitate’ and ‘Martyr’ particularly stand out as songs which will garner them considerable airplay in the future. Catchy, yet intriguingly complex. Check out some of their tunes over here. When Frightened Rabbit finally take the stage, flanked on either side by two stately three-armed crosses, they are greeted with with a wave of cheers from the crowd (well, after that period where the crowd mistakenly cheer the roadies preemptively). The band kick off with the surging ‘Holy’ from the new album, before laying into recent single ‘Backyard Skulls’. While not exactly falling flat, it is only on reaching older standards such as ‘Nothing Like You’ and The Modern Leper’ that the band really start to dig in and fill the room. Scott Hutchison is on stirling vocal form, yelping and crooning in his borders burr. Meanwhile, the band nail every cue and the progressive complexity of their later songs are held together by the band’s tight chemistry. Old favourites such as ‘Old Old Fashioned’ and ‘My Backwards Walk’ sit comfortably amongst recent songs ‘Dead Now’ and ‘State Hospital’, which take flight into the room-filling anthems they always had the potential to be. Towards the end of the main set, the band leave Scott to perform a gut-wrenching rendition of the blood-letting ‘Poke’. Scott’s tender extended vocal refrains are echoed back at him softly from the crowd, deepening the intimate atmosphere. Guitarist Andy Monaghan joins him on slide for ‘Good Arms vs. Bad Arms’, which sees the rest of the band return during the bridge. The audience are then engaged in a ‘human accordion’ experiment to ring in ‘Swim Until You Can’t See Land’ before the band tear through PV opener ‘Acts of Man’, which culminates in a raging wall of sound and lights. The band return after a short break for mid-tempo rocker ‘The Woodpile’, kept on track by Grant Hutchison’s muscular, military drum beat. The band then tear through The Winter of Mixed Drinks standards ‘Living in Colour’ and ‘The Loneliness and the Scream’. The grins on the band’s face as they go for the home-run makes it clear that they are loving every minute of it, as the crowd roars the vocals back at them. Aberdeen crowds are a notoriously fickle breed, but once you’ve won them over they’re yours for life. The deep affection of longtime followers is felt as old tunes are greeted with cheers and sing-a-longs. Early in the gig Scott reminisces about playing to ten people in Snafu (just a quarter of a mile down the road) early in the band’s life, and comments on how playing in the Music Hall felt unattainable. As the band leave the stage, Scott Hutchison lingers as the audience carries on the vocal refrain of ‘The Loneliness and the Scream’ (which carries on for a good few minutes after he has left as well). Grinning from ear to ear and clasping his head, he knows that they have definitely arrived. Frightened Rabbit embark on a US tour on 8th March. Pedestrian Verse is available now through Atlantic.